1.Bring clean and dry pork ribs, set aside. 2.Pound pepper, garlic, coriander root, mix with barbecue sauce, tomato sauce,salt, sugar, set to boil, simmer onion. 3.When boiling, reduce the stew fire for about 2 hours. 4.Wait for the sauce to enter the meat. 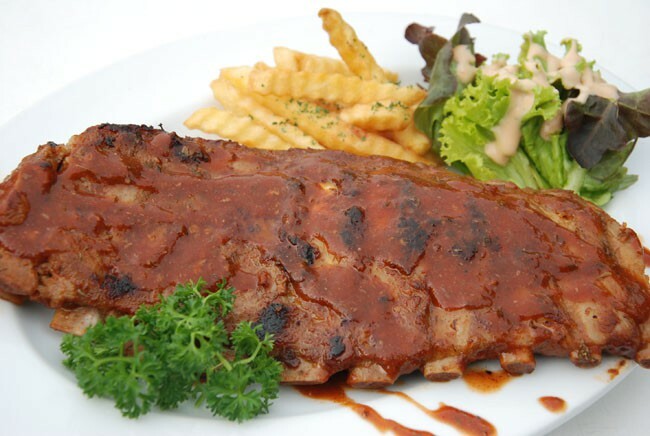 5.When the ribs shrink down and look good, put them in the oven by bringingthe remaining sauce from the stew to dry. 6.Then applied to the ribs to be baked to add moisture to the finish.